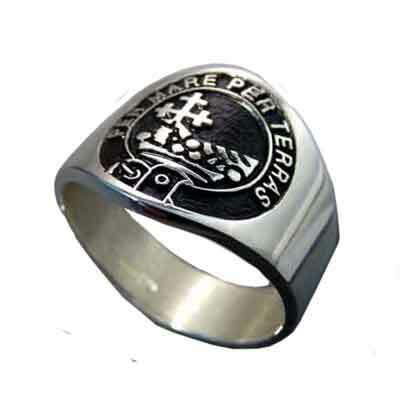 These Clan Crest rings have a sleek sports look to them and they are great for wearing at any occasion. Available in sizes from 6 to 16 including half sizes in sterling silver. There are over 160 names available. Contact us for availability of your clan name. What is the difference between Clan Crest and Coat of Arms?